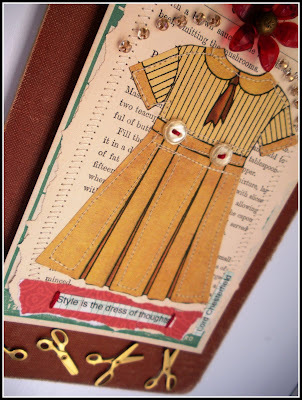 I couldn't have a giveaway of my favorite things without something yellow, now could I? 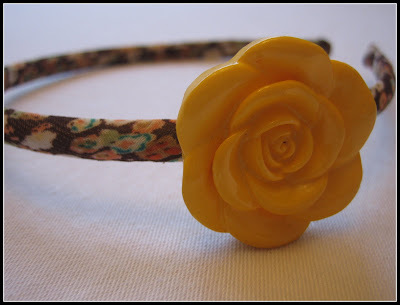 The winner will receive this fabulous fabric wrapped headband from Pink Night Owl. I looked long and hard and finally found some holiday stationary that incorporated my new favorite color combo: blue and orange. 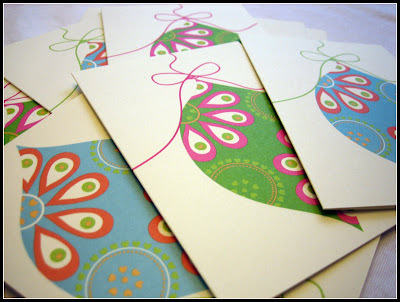 The winner will receive a set of these blank cards from Pier 1 imports. Chocolate and herbal tea - together at last. This stuff is so good. 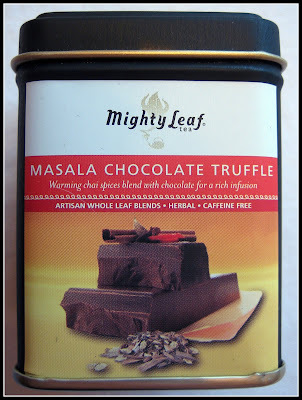 The winner will receive a tin of Masala Chocolate Truffle herbal tea from Mighty Leaf. The famous Alexa Lett, (as seen in Better Homes and Gardens, HGTV and the Discovery Channel) has created a signature mixed media piece especially for the winner! And what would a really great package be without a surprise? Believe me, you will love it. Two runners up will receive a pair of handmade earrings from my new fall line for Paisley Lane. - I really will get new stuff onto Etsy in a bit. Promise. To enter, vote for me at Divine Caroline. Let me know in a comment on this post that you have done so. For a third entry, blog, tweet or facebook about this giveaway and let me know in a separate comment that you have done so. I will announce the winner on October 5th. Good luck! I voted for ya! Won't you do the same for me? I am in the neighborhood & world category! Good luck!!! I love your blog Natalie, and voted for you!! I already voted lady! You're awesome! yay voted for you!!! hope you win!!! Oh wow! Best giveaway of all time! fingers crossed! I voted! I am a Natalie's Sentiments Follower. Thanks! (I just came out of "lurkdom"! 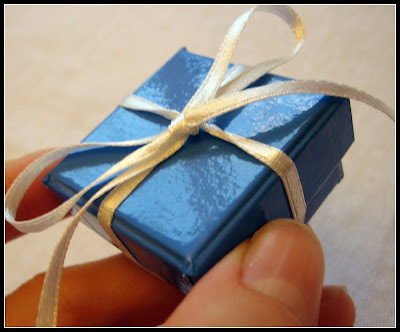 I blogged about the giveaway!! Good luck on winning the Divine Caroline!! You deserve it! How fun! Hope you win and that my vote helps! I voted making it the 29th vote for you! Wishing you luck! Hope we both win! I just voted (*30 votes for your site!). I just voted - good luck! May Canadians enter? I voted for you. I voted -- even though I did not want to register. I did it for you. You should feel oh-so-special. And I hope you win. I'm a follower too... good luck! I follow you on Google Friend Connect and Blogger as "maggie" because I'm a huge fan of yours! I am a loyal follower, love your blog!!! I voted! I'm so glad you wrote your post today or I wouldn't have known to vote. I am a follower or would have likely missed this fantastic giveaway/voting opportunity. Love your site! I voted. I voted (Huguette) .. good luck!